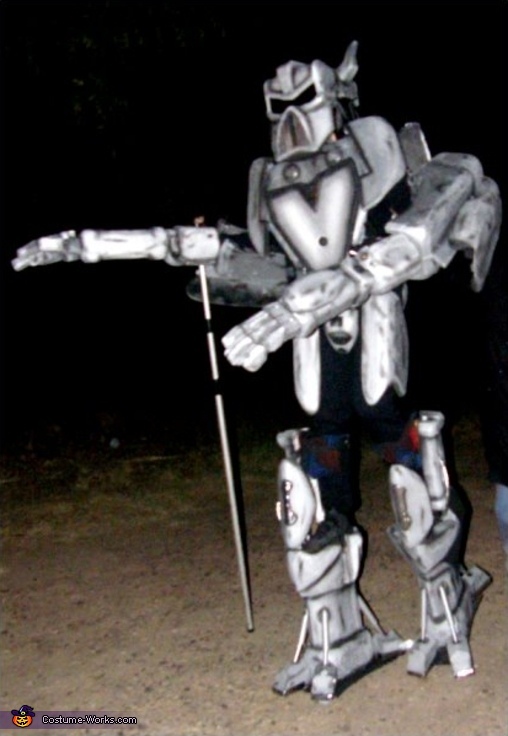 This is David in Arizona as an 8 ft. tall Megabot made mostly of Styrofoam. It has Smoke Effects, Working Pull-String Hands & Robot Voice Changer. Short stilts are involved to give height to the Megabot. As well-made and intricate as this costume appears to be, no machinery is absolutely required to build it.